In addition to being regulated by the Fair Debt Collection Practices Act (FDCPA), Ohio collection agencies are also regulated by Ohio debt collection laws. Discover: Ohio collection requirements, bad check laws (NSF), statutes of limitations for both debts and judgments, garnishments plus Ohio collection agency license and bonding information. See federal law. Garnishment limited to once a month per employee. § 1319.12. Collection agency may take assignments of debts and bring action in its own name. (A) (1) As used in this section, “collection agency” means any person who, for compensation, contingent or otherwise, or for other valuable consideration, offers services to collect an alleged debt asserted to be owed to another. (2) “Collection agency” does not mean a person whose collection activities are confined to and directly related to the operation of another business, including, but not limited to, the following: (a) Any bank, including the trust department of a bank, trust company, savings and loan association, savings bank, credit union, or fiduciary as defined in section 1339.03 of the Revised Code, except those that own or operate a collection agency; (b) Any real estate broker or real estate salesperson, as defined in section 4735.01 of the Revised Code; (c) Any retail seller collecting its own accounts; (d) Any insurance company authorized to do business in this state under Title XXXIX  of the Revised Code or a health insuring corporation authorized to operate in this state under Chapter 1751. of the Revised Code; (e) Any public officer or judicial officer acting under order of a court; (f) Any licensee as defined either in section 1321.01 or 1321.71 of the Revised Code, or any registrant as defined in section 1321.51 of the Revised Code; (g) Any public utility; (h) Any person registered to sell interment rights under section 4767.031 [4767.03.1] of the Revised Code. (B) A collection agency with a place of business in this state may take assignment of another person’s accounts, bills, or other evidences of indebtedness in its own name for the purpose of billing, collecting, or filing suit in its own name as the real party in interest. (1) The assignment was voluntary, properly executed, and acknowledged by the person transferring title to the collection agency. (2) The collection agency did not require the assignment as a condition to listing the account, bill, or other evidence of indebtedness with the collection agency for collection. (3) The assignment was manifested by a written agreement separate from and in addition to any document intended for the purpose of listing the account, bill, or other evidence of indebtedness with the collection agency. The written agreement shall state the effective date of the assignment and the consideration paid or given, if any, for the assignment, and shall expressly authorize the collection agency to refer the assigned account, bill, or other evidence of indebtedness to an attorney admitted to the practice of law in this state for the commencement of litigation. The written agreement also shall disclose that the collection agency may consolidate, for purposes of filing an action, the assigned account, bill, or other evidence of indebtedness with those of other creditors against an individual debtor or co-debtors. (4) Upon the effective date of the assignment to the collection agency, the creditor’s account maintained by the collection agency in connection with the assigned account, bill, or other evidence of indebtedness was canceled. (D) A collection agency shall commence litigation for the collection of an assigned account, bill, or other evidence of indebtedness in a court of competent jurisdiction located in the county in which the debtor resides, or in the case of co-debtors, a county in which at least one of the co-debtors resides. (E) No collection agency shall commence any litigation authorized by this section unless the agency appears by an attorney admitted to the practice of law in this state. (F) This section does not affect the powers and duties of any person described in division (A)(2) of this section. (G) Nothing in this section relieves a collection agency from complying with the “Fair Debt Collection Practices Act,” 91 Stat. 874 (1977), 15 U.S.C. 1692, as amended, or deprives any debtor of the right to assert defenses as provided in section 1317.031 [1317.03.1] of the Revised Code and 16 C.F.R. 433, as amended. (H) For purposes of filing an action, a collection agency that has taken an assignment or assignments pursuant to this section may consolidate the assigned accounts, bills, or other evidences of indebtedness of one or more creditors against an individual debtor or co-debtors. Each separate assigned account, bill, or evidence of indebtedness must be separately identified and pled in any consolidated action authorized by this section. If a debtor or co-debtor raises a good faith dispute concerning any account, bill, or other evidence of indebtedness, the court shall separate each disputed account, bill, or other evidence of indebtedness from the action and hear the disputed account, bill, or other evidence of indebtedness on its own merits in a separate action. 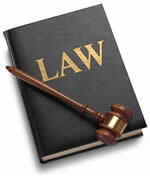 The court shall charge the filing fee of the separate action to the losing party. Knowing and abiding to the proper Ohio debt collection laws is important for both creditors and collection agencies alike. There are debtor’s rights attorneys who are just waiting for creditors or collection agencies to slip up. If you mistakenly violate the Ohio debt collection laws, you could create a liability for your business and even open yourself up to a expensive lawsuit. Please note: Ohio debt collection laws can change over time, and you need to consult with an attorney before you use this information.